Today I went back to the Field Museum in Chicago, site of my nearly fatal multiple falls on the ice just before New Years Day 2016, the after-effects of which I can still feel once in a while in my right foot, to see a few of the Terracotta Warriors from the in-my-lifetime discovery of the Terracotta Army at the tomb of the first emperor of China, Qin, from way back 2,226 years ago in 210 BC. 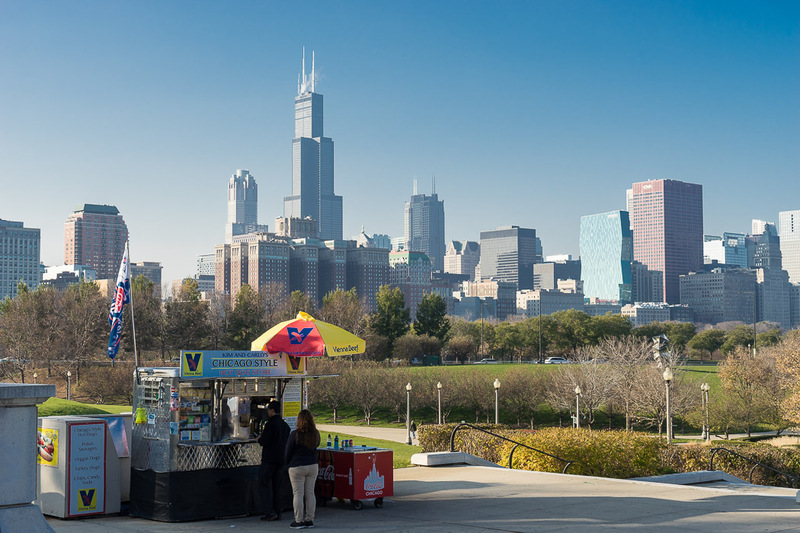 Yes, 210 BC, here in Chicago, on special exhibit until January, go see it!. 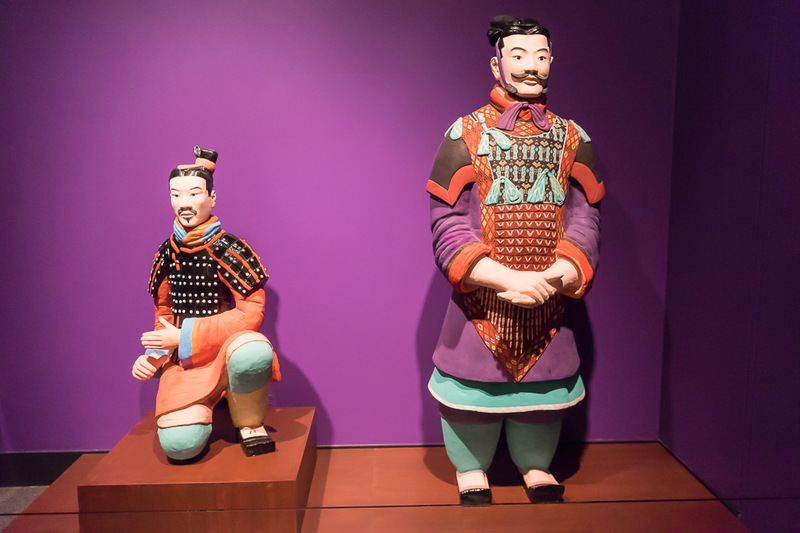 This superb exhibit started with some background information about the warring regions of China, including this display of stone armor. 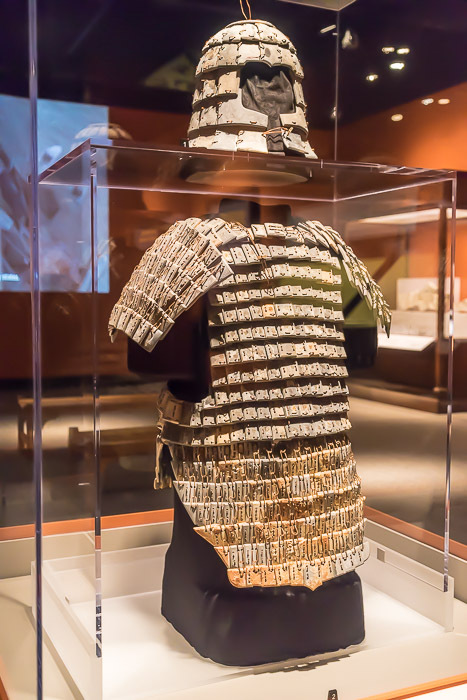 Yes, armor made from 2-inch slivers of stone, tied together, right here in Chicago until January, go see it!, can you imagine walking around in armor made of stone? 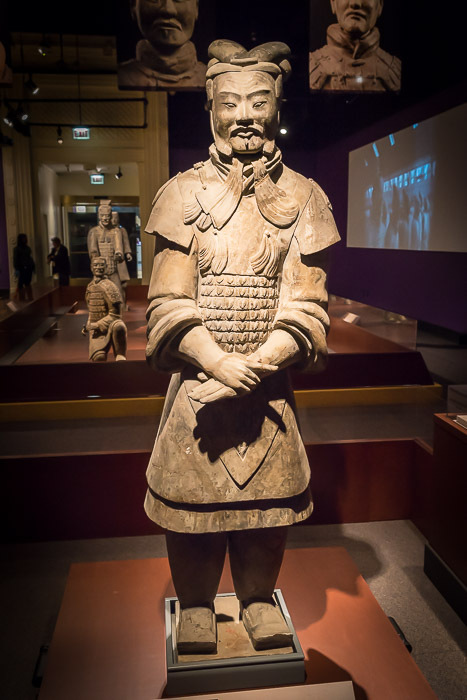 Once you reach the end of the introductory materials in the exhibit, you loop back and find yourself face-to-face with this General from the Terracotta Army. 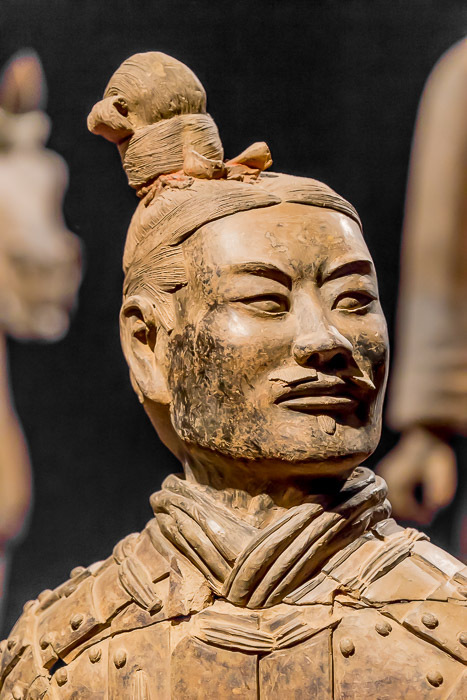 He is the first of several 6-foot-tall terracotta figures you'll encounter from the 8000-strong Terracotta Army guarding the tomb of Qin. 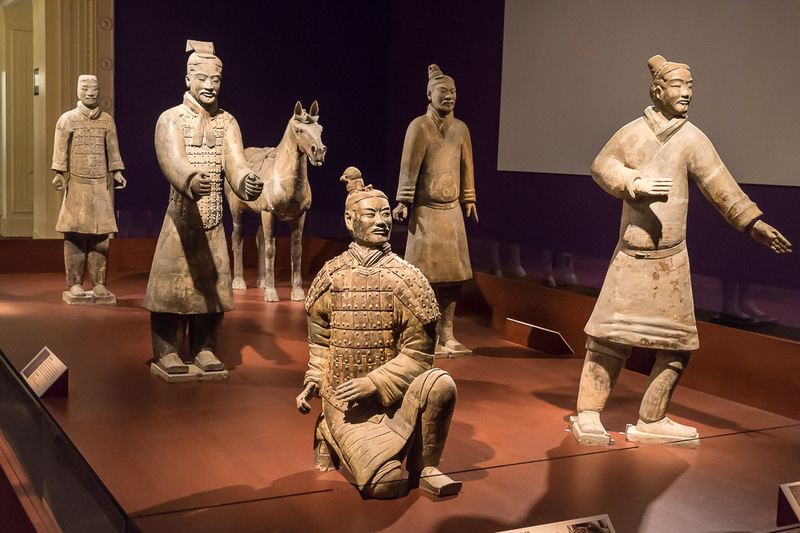 If you travel to China and go to what they call Pit 1, you'll see many thousands of Terracotta Warriors arranged in 9 columns, guarding the tomb of Qin, pronounced Chin, from which the word China might have come. But if you can be happy seeing just 8 or 9 of these warriors instead, then just go to the Field Museum in Chicago and you can save a lot of money you would have spent on the flight to China, plus you don't need to eat that crazy authentic Chinese food, who knows what they even eat over there, it'll probably give you indigestion, whereas you can get an authentic Chicago hot dog that'll sooth your tummy, right ouside the Field Museum. Your choice. But seriously, forgetting the hot dogs for the time being, back in the exhibit behind the General are more stars of the show: 5 warriors and a horse. This is a great sample of the types of figures in the real-thing in China. The kneeling archer in front wears armor made of slivers of stone. The charioteer behind him holds the reigns of his horses. The standing archer on his right has his feet spread, ready to fire. The warriors are all slight larger-than-life, about 6 feet tall. They were painted with vibrant colors but alas, the original paint has not lasted 2000 years. Painted reproductions show what they probably looked like back in the day. 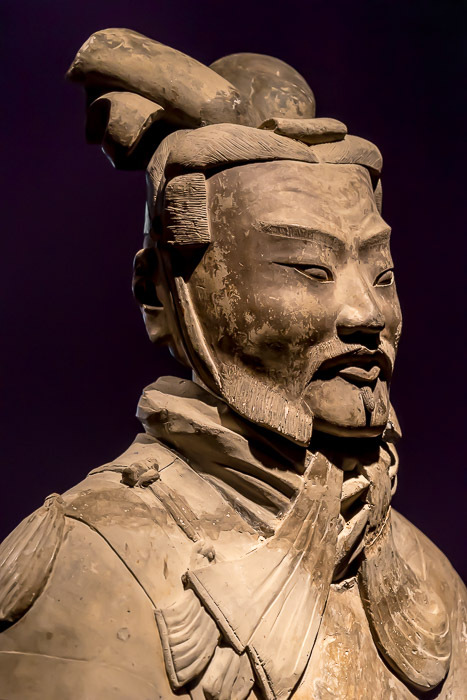 Each of the 8000 terracotta warriors has a unique face mounted on a mass-produced body. Can you imagine? 8000 unique faces? Two of the more intense terracotta faces you can see here in the Field Museum are shown below. 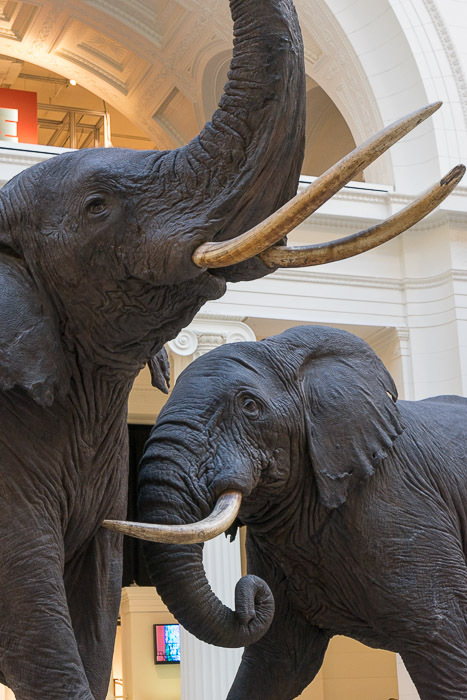 Jeez, these are really Chinese faces from 2000 years ago, you should really go see them at the Field Museum before you've missed your chance. They're selling terracotta warriors you can put on your mantle at the end of the exhibit, but the faces aren't as intense as the two I've shown here, so my loving wife won't need to be lying about how happy she is to have a terracotta warrior reproduction in our living room. 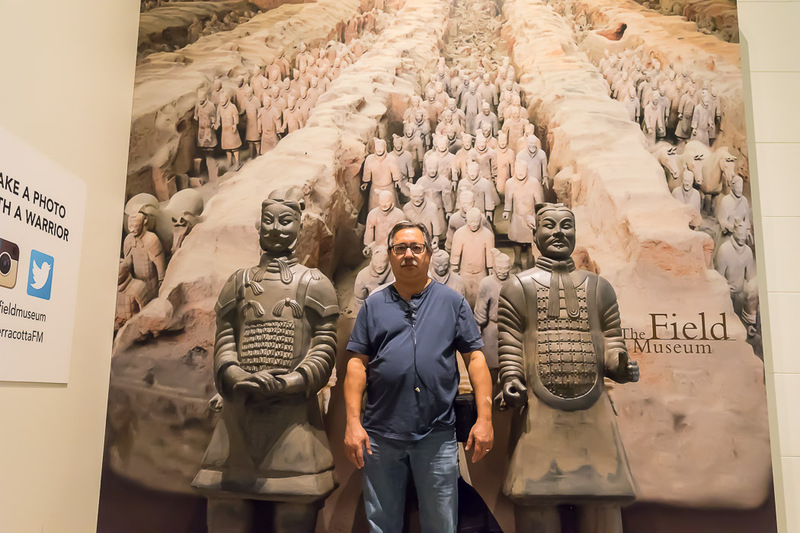 When you leave the exhibit, there is a great spot where you can get your photograph taken as a terracotta warrior yourself. I suppose you can pose however you wish; I tried to make my most ferocious warrior pose so that perhaps those 8000 warriors behind me don't try any funny business. 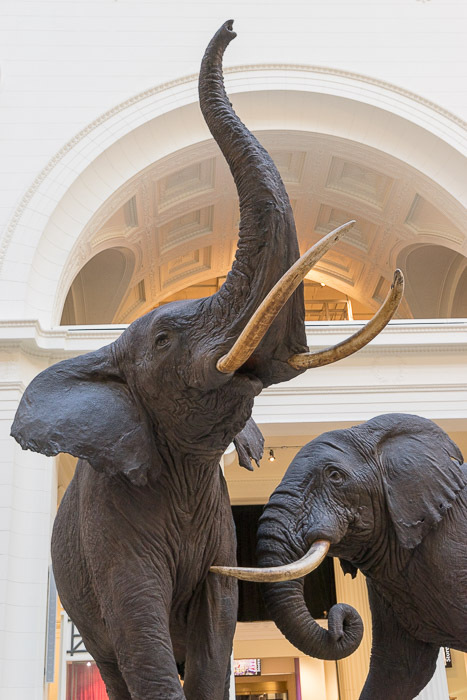 Oh, plus before you leave the museum, you can see the elephants, and after you leave the museum, you can see the Chicago Skyline in front of your very eyes before your drive back home. Bonus Points!